Torque Solution Billet Stock to HKS Blow off Valve Adapter allows you to fit your BOV to your OEM flanged piping without any welding. This is a direct bolt on adapter to allow you to fit an HKS SSQ or SSQV to your intercooler piping. Installs in under 10 Minutes! 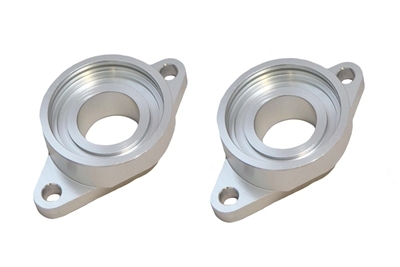 Torque Solutions Billet Stock to HKS BOV adapter will allow you to fit an HKS SSQ or SSQV to your intercooler piping without any welding needed.